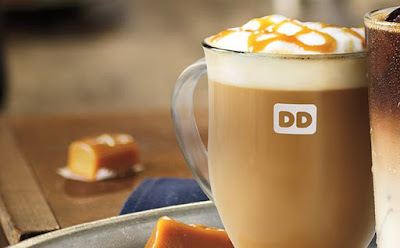 Dunkin' and T-Mobile have partnered up to offer a perk for T-Mobile customers where they can get a free medium hot or iced latte at Dunkin' every Tuesday through June 2019. If you happen to be a T-Mobile customer, you can get the deal by downloading the T-Mobile Tuesday app. T-Mobile Tuesdays is the cellular service's promotion where each Tuesday, they offer various offers and perks for their customers. You don't have to only use the freebie on Tuesday. The offer becomes available once each Tuesday but can be used within seven days at participating Dunkin' locations. For non-T-Mobile customers, Dunkin' is running a special this month where you can get any medium Cold Brew for $2 between the hours of 2 PM and 6 PM.